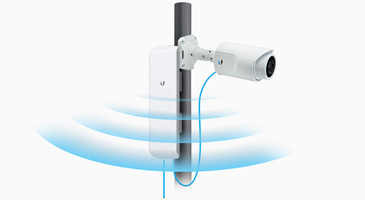 The Ubiquiti NanoStation M combines Powerful airMAX CPE radio and MIMO antenna array performance in a compact form factor. 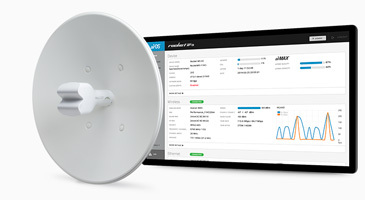 Leading-Edge Industrial Design Ubiquiti Networks sets the bar for the world's first low-cost and efficient broadband Customer Premises Equipment (CPE) with the original NanoStation®. 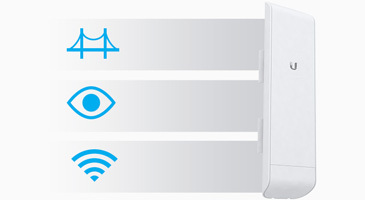 The NanoStationM and NanoStationlocoM take the same concept to the future with sleek and elegant form factors, along with integrated airMAX® (MIMO TDMA protocol) technology. The low cost, high performance, and small form factor of NanoStationM and NanoStationlocoM make them extremely versatile and economical to deploy.